Create a CSS vertical menu for your website. In this HTML tutorial we will guide you on the best way on how to create a CSS vertical menu for your website with a few easy to follow steps. Don’t have a website? Then click here to make a website. Step1. Go to the demo and confirm this is the type of CSS vertical menu that you are looking for. Step2. If this is the HTML vertical menu that you want then copy the CSS vertical menu code that is in the light blue section. Step3. Paste the HTML vertical menu code to your site. Update or publish your page and the menu will be displayed. Step4. Now you can use the CSS menu code to edit theCSS vertical menu to the style of your choice. 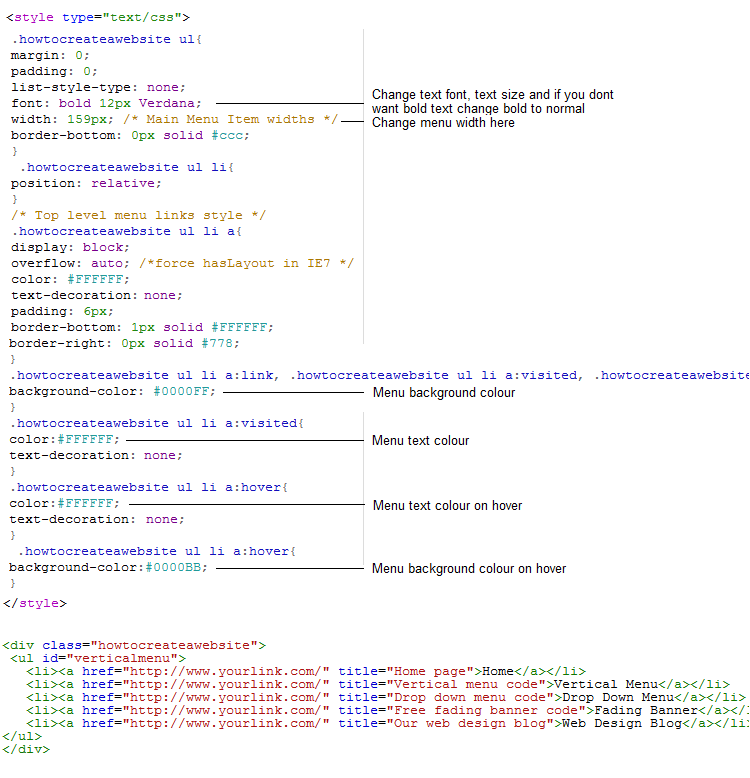 Below the CSS code is the menu HTML code, replace the menu sample links and title text with your menu links and titles.